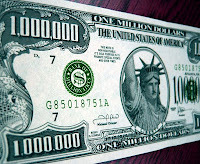 Baby Boomer Retirement: Do You Need a Million Dollars to Retire? Recently I have noticed on some of the question and answer sites I use, such as WebAnswers.com, that people are asking if they will really need to save a million dollars before they retire. Obviously, the people who are asking this question are those who realize they are not even close to reaching that lofty amount of retirement funds. What has been even more interesting than the question of "how much do I need to retire," however, are the answers. The truth is that very few Americans have saved a million dollars by the time they are ready to retire. In fact, the majority have saved less than a hundred thousand. That does not mean they cannot retire, or even that they will have a miserable retirement. There are many ways to make the numbers work for you. First of all, the average retiree currently only gets about $1100 - $1200 in Social Security benefits. That does not need to be true for you. If you work until your full retirement age of about 66, you should be able to increase your retirement income to at least $1800 a month, and perhaps as much as $2500 a month, depending on your past earnings. If you are married, your spouse will be able to get at least half that amount, even if your spouse never worked. Therefore, even a single-income couple could have an income from Social Security of about $2700 - $3600 a month, without a penny of interest income from savings. Once you know how much you will receive in Social Security benefits, compare that amount to what you currently have in monthly expenses. Let's say that you currently spend about $4500 a month, and you will receive $3,000 a month from Social Security. That means you are short about $1500 a month. Now look closely at your expenses. Will you have your mortgage paid off by the time you retire? Do you have other large debts, like money you borrowed to put your kids through college, that could be paid off by the time you retire? Let's assume that you have $500 a month in bills that will be eliminated when you retire. Now you are only short $1000 a month. Are there other expenses that will be reduced once you quit working? Will you save money on gas for your car, business lunches, parking, union dues, and other job related expenses? That may be another $200 a month in savings. Now you only need to make up $800 a month, or $9600 a year, in order to maintain your current standard of living. Saving enough money to produce an extra $9600 a year seems much more manageable. If you have $160,000 invested with a 6% return, you will earn exactly the $9600 a year that you need. If you don't have that much saved, you still have a few choices. If you have not saved the money you need to retire, you still do not have to give up the idea of ever retiring. There are a few other actions you can take to make it a reality. First, you can continue working another year or two, which will increase the amount of Social Security you will earn and to give you time to save more money. If you work until you are 70, you could easily increase your Social Security to $3000 a month, and your spouse would get $1500. Now you're receiving $4500 a month, which is the amount you currently spend, and your problem is solved. Another approach is to look for ways to downsize or simplify your lifestyle, such as moving to a smaller home, making do with one car, and cutting back on travel or entertainment. Just having a smaller mortgage could be enough to bridge the gap. In addition, you should look carefully at the Medicare plan you choose when you both retire. If you have a Medicare Advantage plan that charges you no additional fee over the basic cost of Medicare, that will probably save you a lot of money compared to what a Medicare Supplement plan would cost. Shop around. If you have paid for individual medical insurance policies in the past, this could really cut your expenses. If you have managed to save some money in your retirement accounts, but less than $160,000, you could take the money you have and see if you can find an investment or annuity that will pay you more than a 6% return. The higher the return, the less money you will need. You might be able to find some dividend paying stocks that pay a good rate of return. Make sure you diversify your funds over several stocks, however, and remember that high-dividend paying stocks can be volatile or, sometimes, risky investments. In some cases, you might choose to put your assets into a product like an annuity. For example, AARP.com currently offers annuities starting at 6.1% for people who are 65, 7.5% for people who are 75, and even higher rates for older seniors. I'm sure that other companies will match those rates. Shop around and get the best deal possible. The bottom line is that, for most of us, trying to save a million dollars might be nice, but it is probably unnecessary. As always, you are welcome to leave comments and suggestions on any post and I will reply within 24 hours. To stay up-to-date with information related to retirement, use the tabs or pull down menu at the top of this article to find links to hundreds of additional articles on financial planning, affordable places to retire, medical issues, and more. You've made some good recommendations for planning and budgeting. For most people, another big bill that will disappear after reaching age 65 is health insurance, so that will lower expenses each month. Existing investments can be maximized by investing in stable dividend paying stocks now. You are right about the reduced cost of health insurance once we turn 65. This savings will make a lot of difference to people who are trying to get their budget in balance. The sooner people start investing in dividend paying stocks, the better prepared they will be to retire! Well, the answer is both yes and no. Yes because having a million dollars upon retirement will make your life a lot easier. With that kind of money, you can do a lot of things you've been meaning to do all your life but just can't because of time constraints. No because like you have said, one can still make do with savings less than a million dollars but they have to live frugally. I agree with the comment above that retirees should at least invest into something while they're still young. And I highly suggest investing in real estate. It's less riskier compared with buying stocks and bonds, and your investment is tangible. Profit from it by renting it out or selling it while the market's good, it's your call. 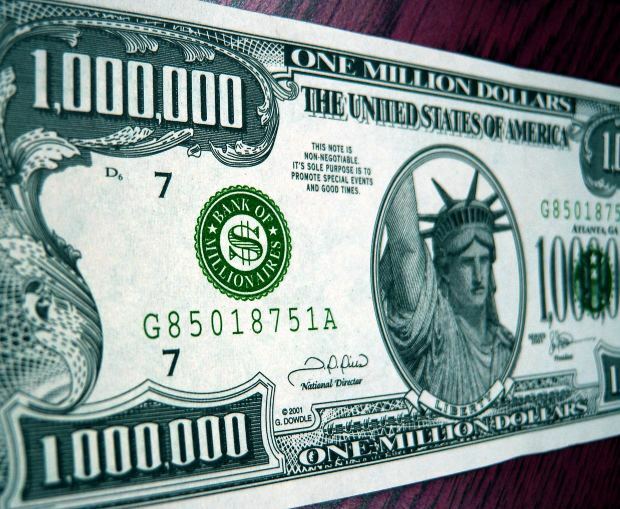 So yeah, a million dollars really isn't needed but it's cool if you have an unlimited stash of money monthly through passive income, just like having a million dollars. My two cents. thanks for the interesting post. Thank you for your comments. You are absolutely right that life is much easier when you have plenty of money after retirement. However, the unfortunate truth is that most people will have much, much less than a million dollars when they retire. I hope some of them will see that, with proper planning, they can still have a comfortable retirement, even if it is not extravagant. Thanks, and welcome back anytime! I guess the best thing for this is to plan early and wisely. Try asset allocation and maximize your investments. It would be a great deal to be able to travel to places and still keep your current lifestyle when time comes. Hoping to read more from you Deborah. Why is it government employees can retire and double dip yet those on social security can only earn $1440 or heaven forbid disabled $1040 a month? You certainly need to plan. Start by looking at your financial situation as you think it might be. Be realistic! You can kick it off at http://www.mutualfundstore.com/assess-your-situation. You should consider potential health emergencies, medicine costs, house repairs if you own a home and all. Thank you for putting this out there. Retirement planning is so important. It's a great article on the whole but it does contain one misconception. Spousal benefits peak at 1/2 of the primary earners PIA (primary insurance amount) which is achieved at full retirement age and does not increase from there other than through COLA increases. The primary earner will increase her/his benefit amount by 8% per year by working past full retirement age until 70 and will pass on this higher amount to the surviving spouse upon her/his death, but spousal benefits are capped at 1/2 of PIA. So in the example above the primary earner with a benefit of $3000 at 70 and a full retirement age of 66 would have a PIA of about $2272 allowing a benefit of $1136 for the non working spouse rather than the stated benefit amount of $1500. The difference is an overestimate of $364 per month which for most would be an unwelcome surprise upon retirement.